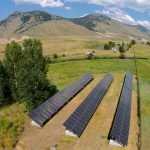 Creative Energies installs solar systems for everyone from homeowners to larger scale projects, such as the recent 1600 panel installation for the town of Jackson/Teton County Wyoming. 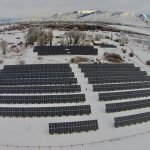 This project, which is 564 kilowatts, is “virtually net metered”—meaning that it is not actually tied in to any of the meters on site; instead it will be used to offset a number of town and county facilities in locations where solar would not be ideal. 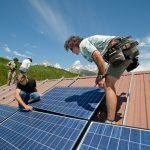 CE Solar is generous in the community and to those less fortunate. 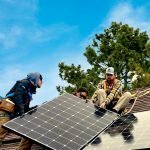 It has a Give Back Program: for every solar power system installed in the U.S., they donate a solar home kit to the Watt-toWatt program, which provides clean solar energy to child led homes in remote parts of the world. 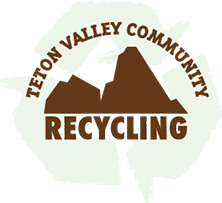 Teton Valley Community Recycling and Creative Energies have had a great relationship over the years—founder Andy Tyson was a member of our board. 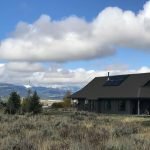 This past winter we were happy to have their help in purchasing Holiday light Fix-it Tools; we feel fortunate to work with CE Solar and thank them for their dedication to a more sustainable Teton Valley. No, really. You Can’t Recycle That.